The shock is finally lightening a bit. For the first time I was teary-eyed upon hearing the loss of a celebrity. I don’t attach to the famous so easy. There are people who I appreciate and enjoy their work. But, losing Robin Williams was a bit devastating. It never occurred to me how much impact he had on me. Not only did he influence my humor, but he paved the way toward accepting myself for the eccentric I am. His passing reminds me of how I need to push the boundaries more with my work. I plan to apply that. However, this tribute is rather tame. I needed to go subtle. There was just a void where my funny resides. I will miss him dearly. I can only hope he’ll allow me to channel his spirit for some blazing cartoons when he is ready. I will not discuss his exit method. He had enough. I get that. We need to have compassion for the tough roles some of us choose when coming down to the Earth plane. His was extraordinary. I commend him for standing firm as long as he did. He left us a legacy. All I have to offer him is compassion. Always in laughter and joy. 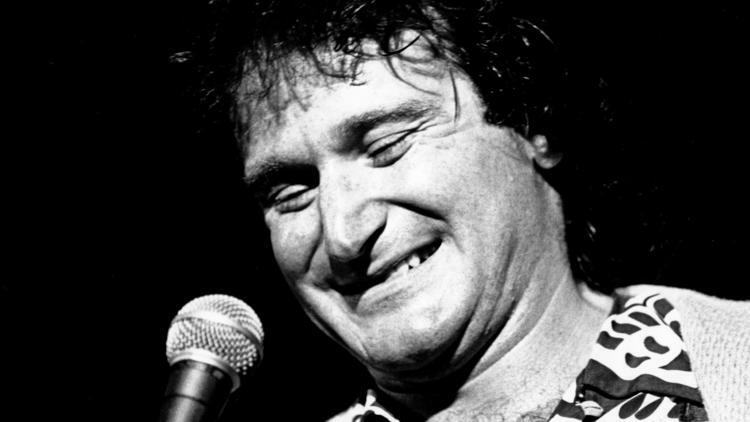 Robin Williams – 1979. – courtesy of Art Lynch’s Sag Actor Online.